Construction equipment hirer Hawk Plant collapsed owing £29.5m to unsecured creditors through its various operating companies. Administrator Ernst & Young has compiled reports on the six key businesses that collapsed. It reveals a complex web of intercompany debt, the highest at £43m owed by Hawk Plant Hire to various group companies. This main trading company and parent company Hawk Plant (UK) alone owed £11.2m and £10.7m respectively to unsecured creditors. The EY report reveals that Hawk Plant Hire held leasing and hire purchase arrangements totalling £48m, secured on assets. Chief secured creditor Wells Fargo Capital Finance held a £29m charge across the group and Steve Corcoran, former Speedy and Ardent boss, also had secured status on £170,000 owed to him. Corcoran was brought in to turn around Hawk last September as chief operating officer and chief executive designate. 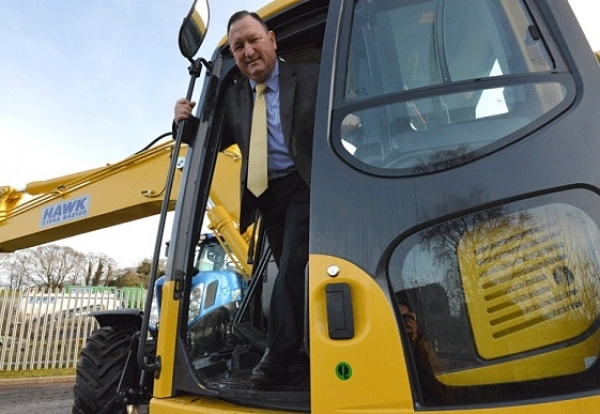 His key task was to assist in the succession planning, ownership and debt restructuring of the business, which operated a fleet of over 2,000 machines. Hawk ran into difficulty in its trading and short term cash-flow as a result of the failure of Carillion, a major project and a commercially poor performing contract in Sierra Leone. It is understood Hawk was hit for around £800,000 from the collapse of Carillion. But before the restructuring could be fully delivered the last minute withdrawal of a projected funding line resulted in the business being put into administration in January 2019.